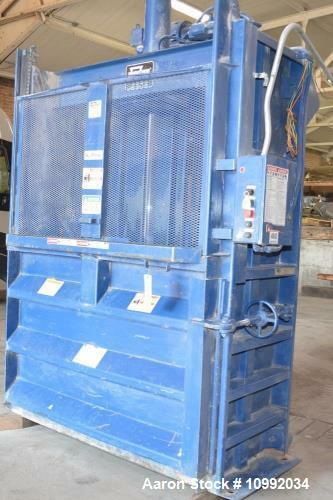 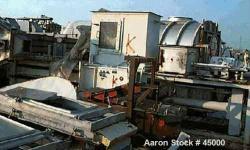 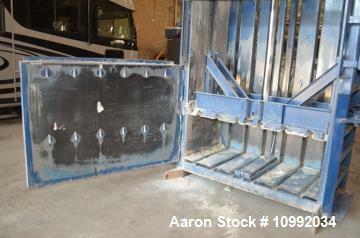 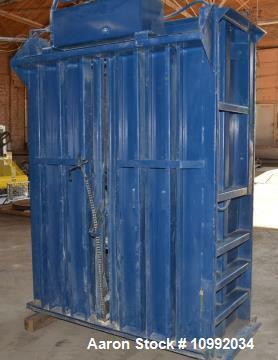 Used- Marathon Model V603002 Vertical Baler. 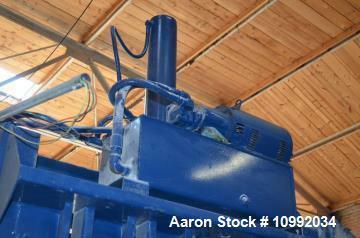 6" diameter cylinder, 3.5" cylinder rod, 48" cylinder stroke. 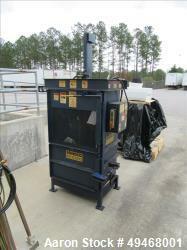 50 cubic foot bale volume. 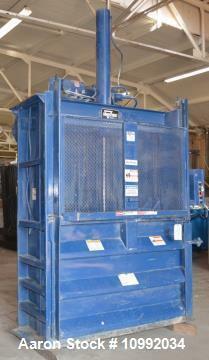 6 bale ties, 56,500 pounds platen force, 34 PSI platen pressure. 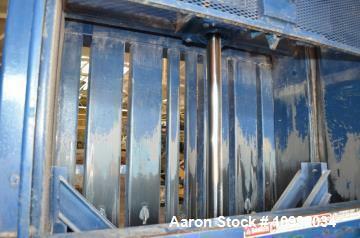 2,000 PSI system pressure. 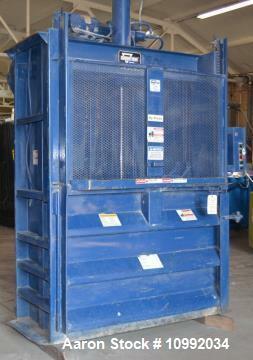 Bale size 60" wide x 30 " deep x 48" high. 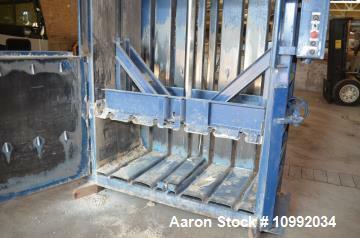 Up to 1,100 pounds bale weight. 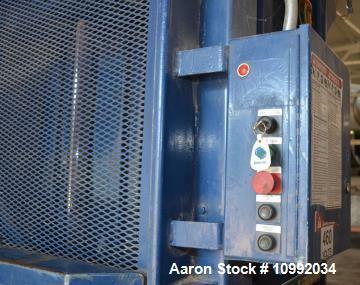 Feed opening 60" wide, feed opening height 25", 15 HP motor, 460 volt, 3 Ph, 60 Hz.